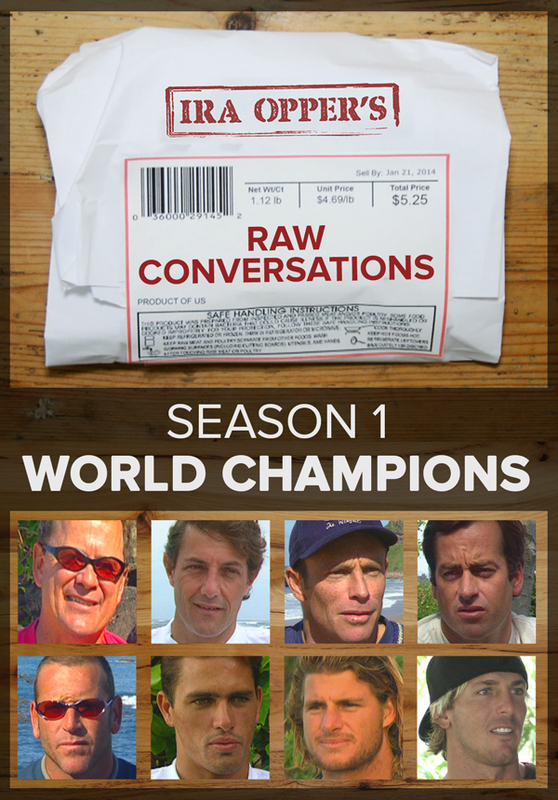 Raw Conversations with The World Champions. 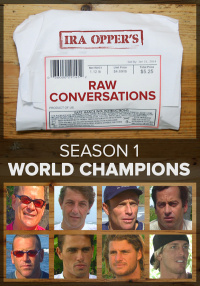 Candid interviews with the legends of the sport about rivalries, the highs and lows of their careers, topics never discussed on the record and more. Mark Richards talks about career successes, injuries and dealing with growing older as a surfer. Peter Townend talks about surf spots, equipment and competitive shifting from style to performance. Shaun Tomson talks about influential surf spots, how he invented his style and mastering surfing. Rabbit talks about his best moments as a pro, Australian surfing and the new era of surfing. Tom Carroll talks about rivalries, his greatest moment in surfing and losing at Pipe. Tom Curren talks about style, the high and low points of his career and what changed after winning the World Title. Tom Curren talks about his goals, passion for music and his most memorable moment at Jeffreys Bay. Damien Hardman talks about Narrabeen, the greatest moment in his career and the future of competing. Barton Lynch talks about his favorite surf flicks and the differences between current movies and the ones from his youth. Barton Lynch talks about his favorite wave, compares surf spots and reveals his plans for the future. Martin Potter talks about his first contest, surfing into his fifties and the technique behind his aerials. Kelly Slater talks about his intense competitiveness, the first day he ever surfed and his favorite kind of wave. Kelly Slater talks about the voice inside his head, his spirituality and why waves seem to come to him in competition. Kelly Slater talks about what drew him to the water as a kid, physiology of surfing and finding power in different waves. Kelly Slater talks about falling behind in competition and the future of surfers getting legitimized. Derek Ho compares and contrasts different surf spots and talks about the highest point in his career. Mark Occhilupo talks about winning World Title, his past drug use and the biggest challenge hes faced. Sunny Garcia talks about Hawaiian style, his work ethic and reflects on decisions hes made. Andy Irons talks about growing up in Kauai, hottest moves and how he deals with bad days. Interview from 2006 with three time world champ. Andy talks about his favorite equipment, how he favors simplicity in boards and his dream surf trip. 17 year-old Kelly Slater talks about balancing school and surf, his biggest influences and predicts when he will pro.